What cake can I make for our seventh wedding anniversary? 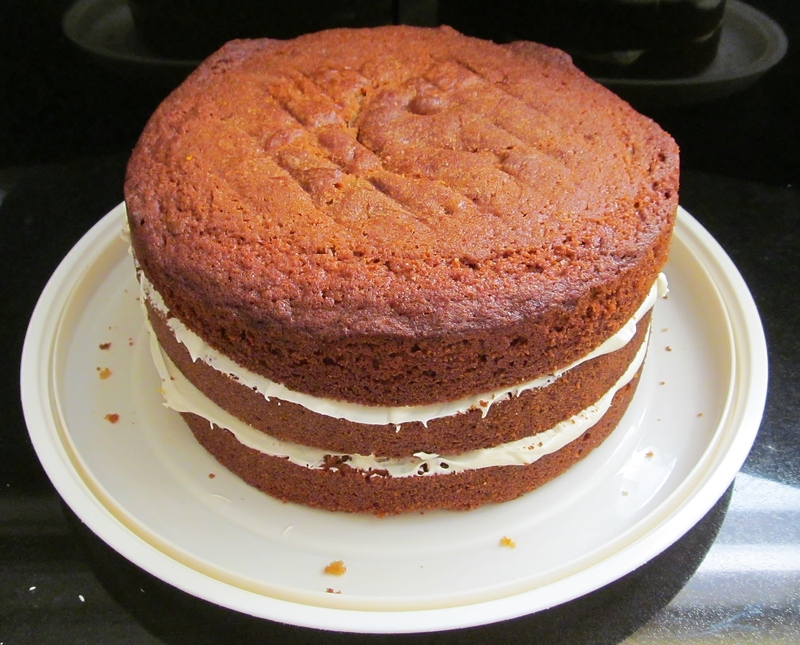 Well, hubby got his way and I set about putting together Mary Berry‘s Maple Syrup Cake! 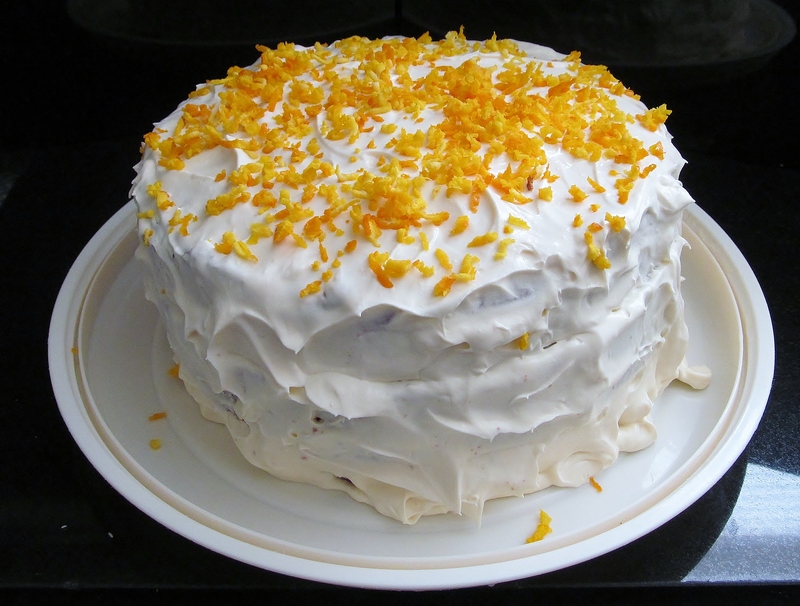 It was one of Mary’s throw all the ingredients in a bowl and mix which is simple enough The cake mix went into the lined tin and into the oven for about one and a half hours. I set the timer and did the usual Sunday housework etc and soon enough, it was time to check the cake. 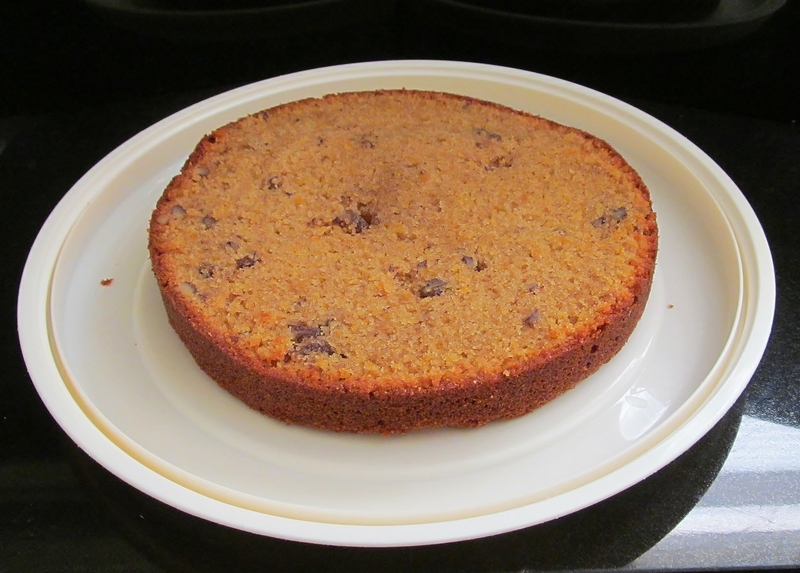 Yep, it was cooked nicely and I left it to cool for a short while and then took it out of the tin onto a cooling rack. When it was cold, came the fun part. Mary says, use a long sharp knife and cut the sponge into three equal slices……. well I cut it into three slices, not so sure about the even part though. 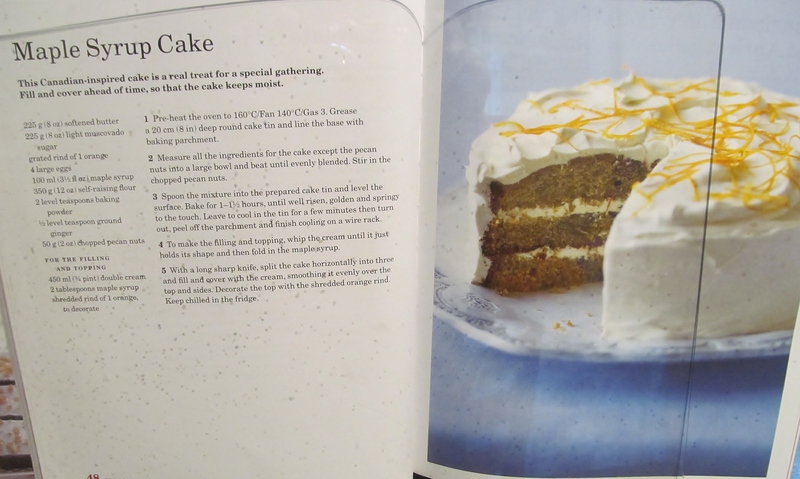 Mary asks you to then whip up an obscene amount of double cream for the filling and topping. Well Mary, as usual I have substituted the double cream for Emlea double light. Then , add the maple syrup , stir it in and begin to create the towering cake. I sandwiched together the three layers, and then had to cover the outside with the rest of the cream. That wasn’t as easy as it sounds and was very messy. Finally Mary asks you to decorate with some orange rind. I had nothing to create the fine wisps she uses, so mine were shorter and stubbier…. Finally the cake was done, and it has to be kept in the fridge because of the cream. After dinner, we had a slice each….I then looked up how many calories each slice would contain and had a huge shock…so I won’t be eating now for at least a day! 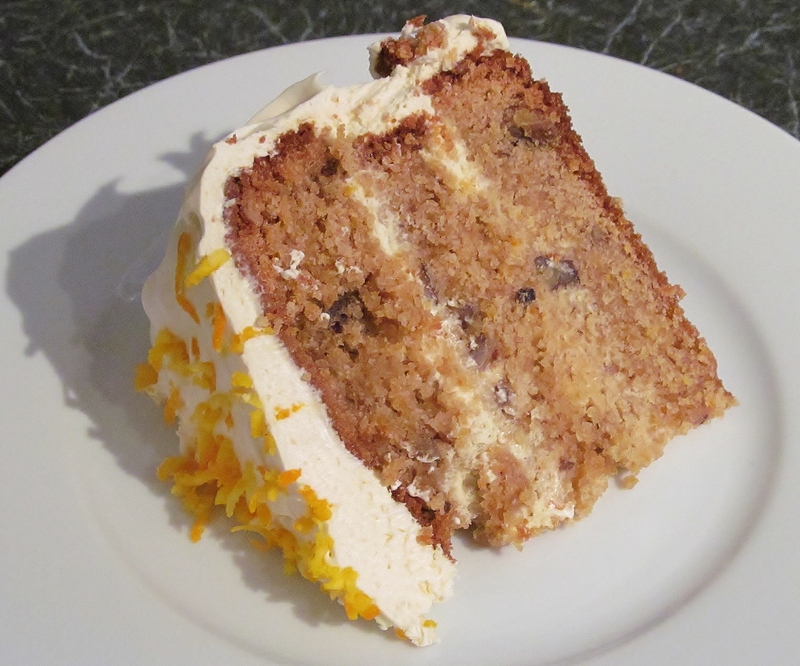 So hubby, happy seventh anniversary, hope you enjoyed our anniversary cake and enjoyed the ingredient I forgot to mention…..pecan nuts! Oh and our anniversary falls on 1st July, which is also Canada Day, so Happy Canada Day to all and sundry with our Canadian themed cake. This entry was posted in Kim's cake challenge and tagged Cake, Canada Day, Cook, Cream, Home, Kim's Cake Challenge, Maple syrup, Maple Syrup Cake, Mary, Mary Berry, Mary Berry's Maple Syrup Cake, Sunday by kimsideas. Bookmark the permalink.